Sometimes the simplest questions have the most complex answers. 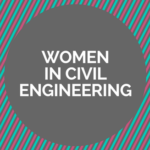 For instance: Is there a gender wage gap in civil engineering? Depending on whom you ask, the gender wage gap is either a persistent problem in the industry, with women consistently earning less than their male counterparts; or that gap is a myth, an overblown narrative that was rectified years ago. 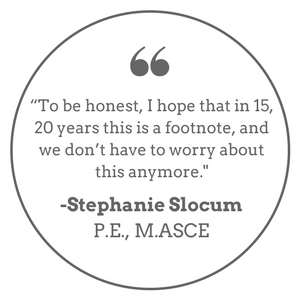 This is where the ASCE Salary Survey can offer some clarity. The 2017 survey, for the first time, attracted a pool of respondents diverse enough to generate gender-specific data. But what did that gender-specific data reveal? The 2017 ASCE Salary Survey aggregate findings (see table) show that men and women with P.E. licenses earn a roughly equivalent base salary over the first 10 years of their careers. It’s during the middle stage of a career that a wage gap appears. While men with 11-20 years of experience make an average of $104,000, women earn $98,628, a 6 percent gap. The gap widens during years 21-30, with men making an average of $125,000, compared with women at $114,645 – an almost 9 percent division. The plot thickens at the experience level of 31-40 years. Women who work into the fourth decade of their career see their situation improve. The numbers shift in the opposite direction with women civils averaging $135,000 a year, compared with men at $132,000. 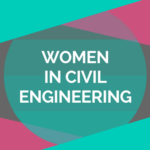 So, what began as a seemingly straightforward yes-or-no question gives rise to a new, more nuanced inquiry: what trends in the industry are creating that gender wage gap that begins to show itself during the second decade of civil engineering careers? No simple answers there either. The most prevalent theory as to what is causing a wage gap around age 30 is the idea that motherhood often alters women’s careers. Increasingly the answer is yes, but it is still complicated for women in ways that men often don’t have to account for. “In certain parts of the country, it’s very much expected that as soon as you have kids, you’re just going to give up on your career or it’s at least going to take the backseat for a while and resume later,” said McClure, who two years ago helped research and assemble a survey report on trends among structural engineers for the Structural Engineers Association of Northern California. And even if the engineer is committed to balancing motherhood and career, her career growth may be hindered by different assumptions and biases. Society is changing, though, and has been for some time. Women work. Men parent. The gender roles aren’t as narrowly defined as they were even a generation ago. “What I will say is that the trend toward 50/50 [mother/father] caregiving is really one that the savvy business owner is quick to recognize,” McClure said. “Pretty soon they’re going to have to address this issue and grant work-life flexibility for all their employees and not just think it’s limited to the female employees. Nadya Fouad, Ph.D., distinguished professor in the Educational Psychology Department at the University of Wisconsin–Milwaukee, helped lead the Project on Women Engineers’ Retention. She points to a more passive approach toward self-advocacy among women as a potential explanation for the wage gap around Year 10. It sounds simple then. Speak up for yourself. Except of course it isn’t that easy, especially for those whose natural inclination isn’t to get loud. But Yvette E. Pearson, Ph.D., P.E., F.ASCE, associate dean for accreditation and assessment at Rice University and vice chair of ASCE’s Committee on Diversity and Inclusion, said that kind of personality, for better or worse, can be a learned skill. In some cases, the solution to the gender wage gap can be the gender wage gap itself. Data like the ASCE Salary Survey can help make the case for a raise, a promotion, or more equitable compensation. 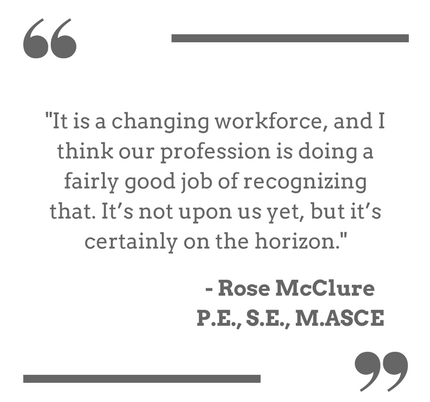 “I did a lot of research on what my pay should be before I interviewed for jobs,” said Valerie McCaw, P.E., D.WRE, ENV SP, M.ASCE, president of VSM Engineering in Kansas City. “I had all of the data. “Sometimes as a girl you think that people won’t like you if you negotiate. But you have to stand up for yourself. Back when I was younger, it was a competitive thing; now it’s a worth thing. Stephanie Slocum, P.E., M.ASCE, recently published a book, She Engineers: Outsmart Bias, Unlock Your Potential, and Create the Engineering Career of Your Dreams, that examines the many issues confronting women in civil engineering. She sees female leaders, owners, and mentors as crucial to the industry’s efforts to close the gender gap. 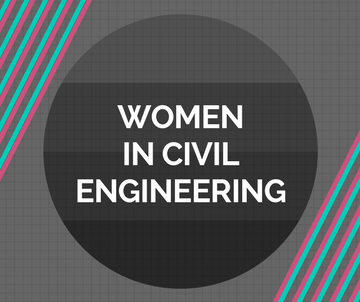 The image of the groundbreaking woman, the only female in a civil engineering graduate program breaking norms and charting a new path, is honorable and romantic as a character type. But in reality, it can be lonely. And if you don’t have those mentors – women you can look to who are owners, who are community leaders – it can be dispiriting to continue with any degree of ambition in your career. The hope is that with more and more women in leadership positions now – ASCE’s trio of female presidential officers being particularly prominent examples – it will be easier for the next generation of women engineers to envision themselves achieving similar success, and now they’ll have the resources and mentors to get there. “I have some women I mentor here in Kansas City,” said McCaw, who as an owner of her own firm employing about a dozen people is one of those women leaders younger engineers can emulate. Meanwhile, the more owners who are women, the more problems related to the aforementioned motherhood and self-advocacy issues are mitigated. The 2017 ASCE Salary Survey also collected information about job satisfaction, gauging civil engineers’ feelings about factors including compensation and advancement opportunities. While the majority of respondents answered positively, the percentage of women satisfied with their work trailed their male counterparts in each of the five categories. Implicit bias, explicit bias, and workplace climate often still present challenges for women. “I remember going out on a construction site, being asked, ‘Since when do they let secretaries on construction sites?’” Pearson said. Swallow calls it “death by a thousand papercuts.” Incidents, comments, microaggressions. These are not tales of civil engineering past, either. Thalia Valkanos, EIT, A.M.ASCE, is a legislative correspondent for the U.S. Senate after working five years as a civil engineer in New Hampshire. She dealt with unconscious bias as a student. “In ordinary conversation, a common response to my successes and title as an engineer is, ‘No, really though, what do you do?’” Valkanos said. “On the first day of calculus in college, a male student loudly asked if I was in the correct class. While concluding a discussion on a project with a former colleague, I was asked if I had scheduled my next nail appointment. As with anything, it begins with awareness. “We have to think about what we hear and how we listen,” Pearson said. “If there’s a woman coming forward to express some type of grievance she’s experienced in the workplace – what does the supervisor hear? Do they hear, ‘Oh, here’s somebody trying to get on this Me Too movement’? Or do they hear, ‘Oh, she’s another angry black woman’? Or do they listen and hear, ‘Oh, wow, we may have a problem with this. We need to figure out how to address it’? Which gives civil engineering an opportunity to take the lead. “I know what I’ve seen, and the data backs this up,” Slocum said. 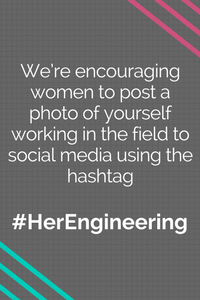 “The STEM fields tend to be some of the most gender-biased fields around, partially because we pride ourselves on being technical and logical people. There is a right and wrong to that math equation. “But maybe now you’ve gotten where you are in your career isn’t 100 percent based on that technical, logical, merit-based ability. That’s a hard pill to swallow. Maybe just maybe it had something to do with positive bias toward you and negative bias toward others. “More than 50 percent of women believe that that sort of bias affected their careers. At the same time 75 to 80 percent of men said, ‘Gender bias has nothing to do with my career.’ I got here all on my own. We all know that’s a myth. We all need each other. No one gets anywhere on their own. “But I think that plays into it as well. We have this quasi-denial thing going on because yeah, I’d love to think that I’ve gotten everywhere on merit alone. It was all me, all my hard work, all my connections – that sounds great. That’s the American way, is it not? Individualism. But that’s not how it is. One need look no further than the three women leading ASCE – President Swallow, President-Elect Robin Kemper, and Past-President Norma Jean Mattei – for signs of hope. Together, they oversee a Board of Direction that is the most gender-diverse in the Society’s history. The value of a diverse civil engineering workforce is evident to former ASCE President Chuck Pennoni, P.E., LS, Pres.92.ASCE, chairman and founder of Pennoni, headquartered in Philadelphia. 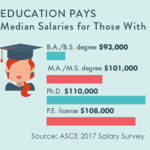 Certainly the ASCE Salary Survey offers a more positive picture than the one portrayed by last year’s U.S. Census Bureau’s report, Income and Poverty in the United States: 2016, which found that in the overall workforce, women make 80.5 percent of the average male’s annual salary. But it’s clear there’s more work to be done. ASCE is collecting data for its 2018 Salary Survey through April 6. 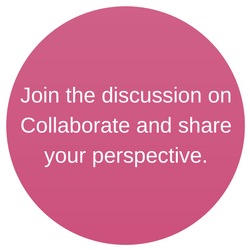 Participate today. 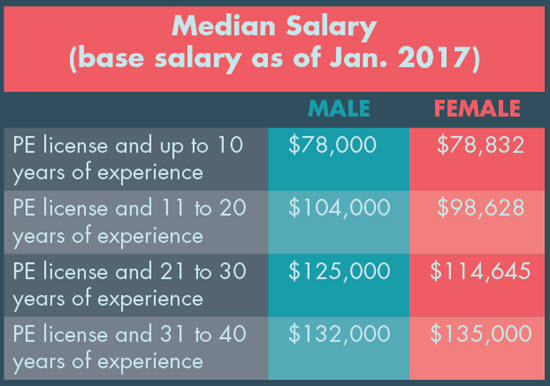 This article references a table comparing salaries of men and women from the 2017 ASCE Salary Survey aggregate findings but it is not in the article. Please update the article to show this table. Thanks. Good call. Updated now. Thanks!